On Monday, three different canvases were cycling on and off the easel, two that are secret Christmas surprises and one that was destined to be Freddie Mercury. I felt I needed to slip a spontaneous choice in the mix. I put two coats down on the background before breaking for dinner. Heather joined me in the evening, working on several of her abstract pieces while I took Freddie's painting through three additional phases. I'm surmising that it is largely because of Bohemian Rhapsody, the movie, that Freddie Mercury is in the minds and hearts of a lot of people right now. Even though the painting felt (to me) far from finished, the response to it was incredible. Private messages about its price and availability starting pouring in immediately. I like the feeling of having an unfinished, but promising, painting on the easel when I go to bed. It almost invites me to paint in my dreams. I woke up on Tuesday morning, made my coffee, went out to the studio, put on some of Freddie' music, and dived back in. I got to this point and felt pretty good about the distance it had travelled. The sense of majesty was there, but something was missing: the unseen spark between the performer and the audience. That was the energy I was going after. I set up a little splatter cage in the studio, covering up all the surrounding paintings with large sheets of cardboard. I then added splatters in a few key colours and trajectories, and brought the painting to its conclusion. As so many people seemed to be interested in purchasing this one, I decided to make it fair for all by putting it on auction, rather than selling it outright at the regular price ($750 + gst). 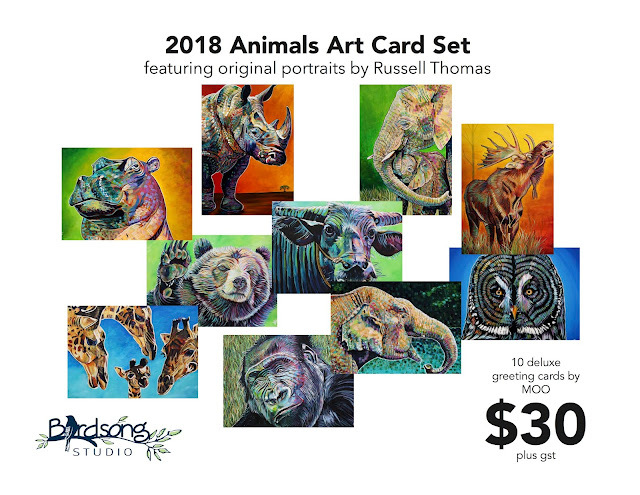 I dropped the starting bid down to $500 and got the auction started on the top of the Russell Thomas Art Facebook Page. It will come to an end at 9 pm MST tonight (December 5). If the purchase price goes north of the regular price, Heather and I will be donating any excess to the local United Way campaign. 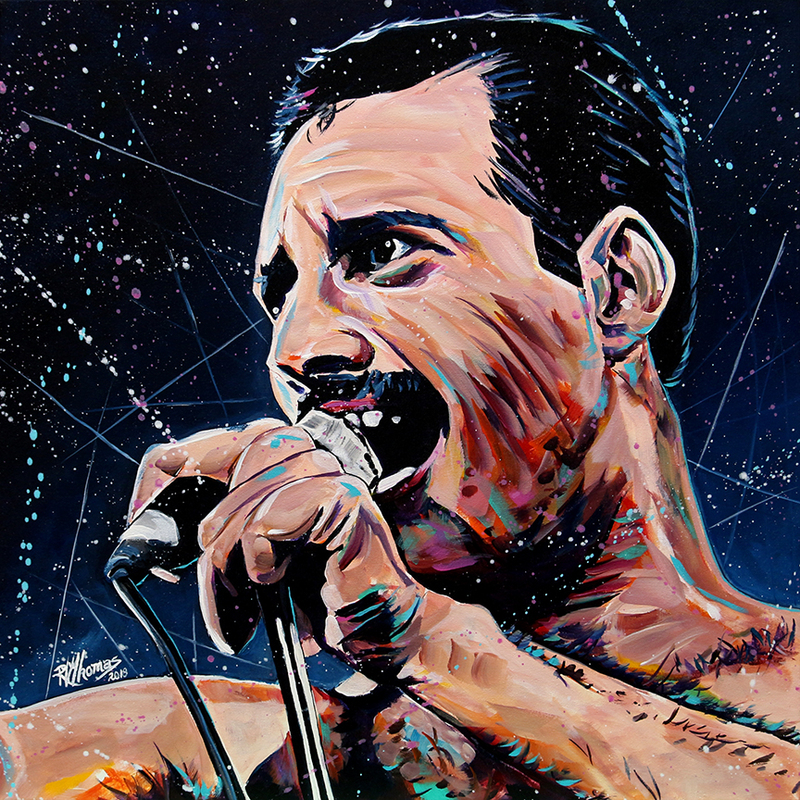 There has also been some interest in gallery canvas prints of "Freddie's Rhapsody". We can custom order a size that works for you. All we need is about two weeks to allow our printers to do their work. 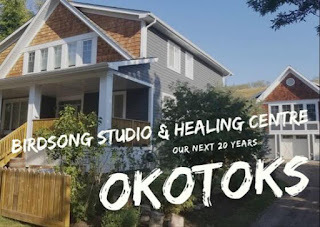 Send us a message via the Russell Thomas Art Facebook Page or email russell.thomas@birdsongconnections.com.